With its signature handle, the strap allows you to easily pull the cushion closer to you or even carry it from one room to another. The square version measures 45 cm on each side, which is the standard size. 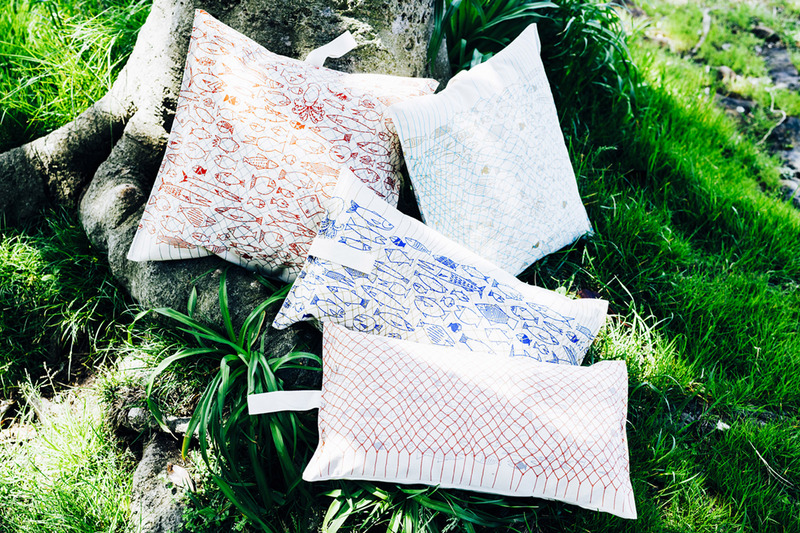 Made from the same canvas material as the tote bags, each cushion is printed with the “buona pesca” pattern (the name means ‘big catch’ in Italian), which was specially illustrated by Aoi Huber for Ishinomaki Laboratory. 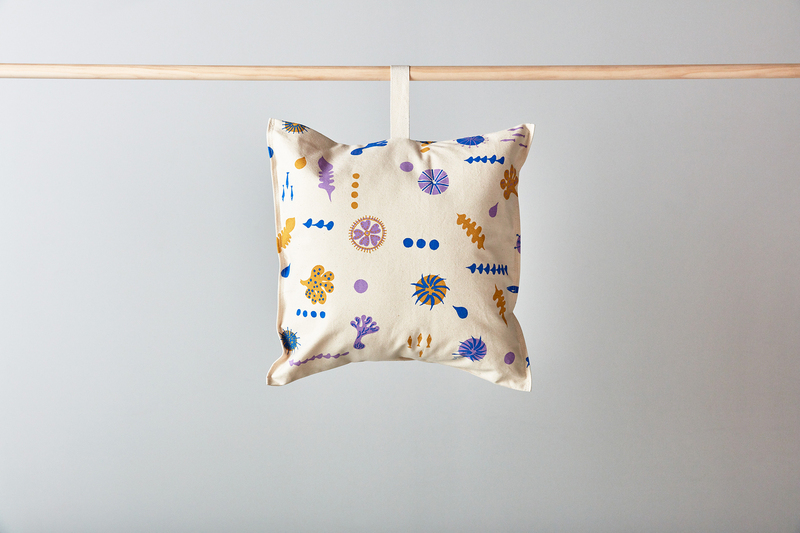 The pattern comes in two different themes – “sakana” and “unikobuwakame” – meaning fish and sea urchin & seaweed respectively.